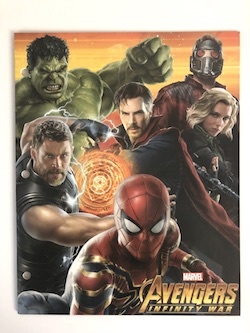 Size: 9 1/4" x 11 3/4"
Description: This is a portfolio folder with Avengers Infinity War movie art on the front and back. Dr. 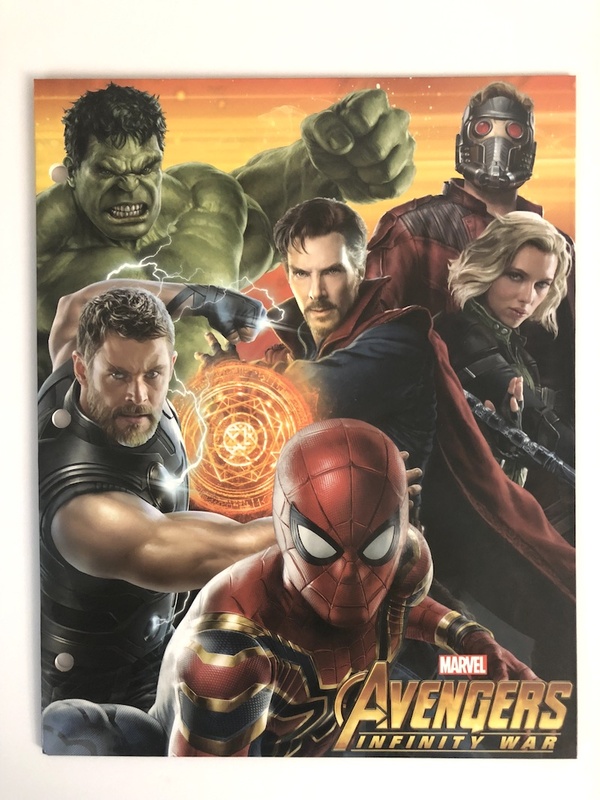 Strange, Hulk, Thor, Black Widow, Spider-Man and Star Lord are on the front and Iron Man, Captain America and Rocket Raccoon are on the back. Groot, Falcon, Gamora, Winter Solder and War Machine are pictured inside.